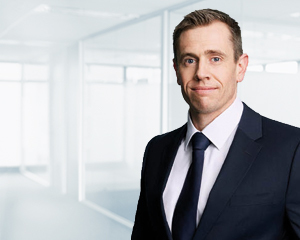 Mark Hogan is an integral part of Dixon Advisory’s Family Wealth Management team and works with his clients to provide them with personalised investment advice to support them to maximise their wealth for optimal choices in retirement. Mark tailors the insights and recommendations of the firm’s Investment Committee to his client’s individual portfolio investment and asset allocation goals, an approach that he says “resonates with my own investment outlook – specifically the importance of diversification in building a long-term portfolio of investments that can include both active and passively managed, low cost structures”. Mark says that the value and importance that Dixon Advisory places on client relationships is a cornerstone to success and is why he is so passionate about working for the firm because they “understand that every client is unique”. He says, “Assisting clients to achieve their goals requires a very strong appreciation of their circumstances, risk tolerance and longer term goals. As such, I was attracted to the firm for their client-first communication approach in what can be a complex and dynamic environment”. Mark holds a Masters in Professional Accounting from the Royal Melbourne Institute of Technology, Graduate Diploma in Financial Planning from Kaplan and Bachelor Arts (Economics) from the University of New South Wales. He is also accredited with the Stockbrokers Association of Australia (SAA), an alumnus of the Royal Military College Duntroon and nearing completion of his training as a chartered accountant.